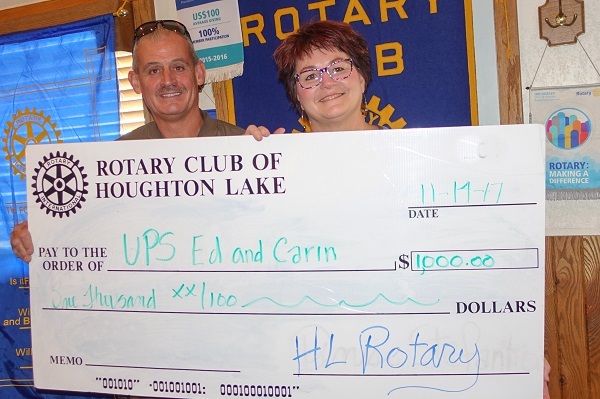 Ed Piglowski spoke to the Rotary Club of Houghton Lake recently about the UPS Ed & Caren Christmas for Kids Auction that has taken place annually for the past 28 years. The auction raises money to purchase winter clothing for approximately 400 local children. 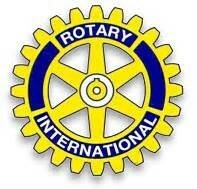 Ed noted that donations of new winter clothing are welcome, but financial donations are the easiest to manage. Rotary Club of Houghton Lake President Denise Stefanko presented Ed with a $1,000 donation in support of the Christmas for Kids program.